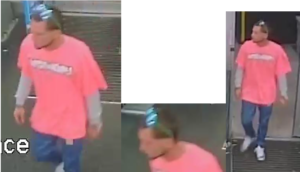 The Palm Beach County Sheriff’s Office is seeking the public’s assistance identifying a suspect WANTED for using counterfeit money to purchase a gift card. An unknown male, seen on surveillance, entered Walgreens and purchased a prepaid Visa card utilizing counterfeit $ 20 bills. This incident occurred on January 22, 2019 at 10:45 pm. Walgreens is located on Southern Blvd in Royal Palm Beach.